Jesus shared a lot of wisdom in the Bible. And lately, He also seems to share a ton on Instagram, on screen-printed mugs, and in those images your aunt posts on Facebook, too. But how much of it is true? 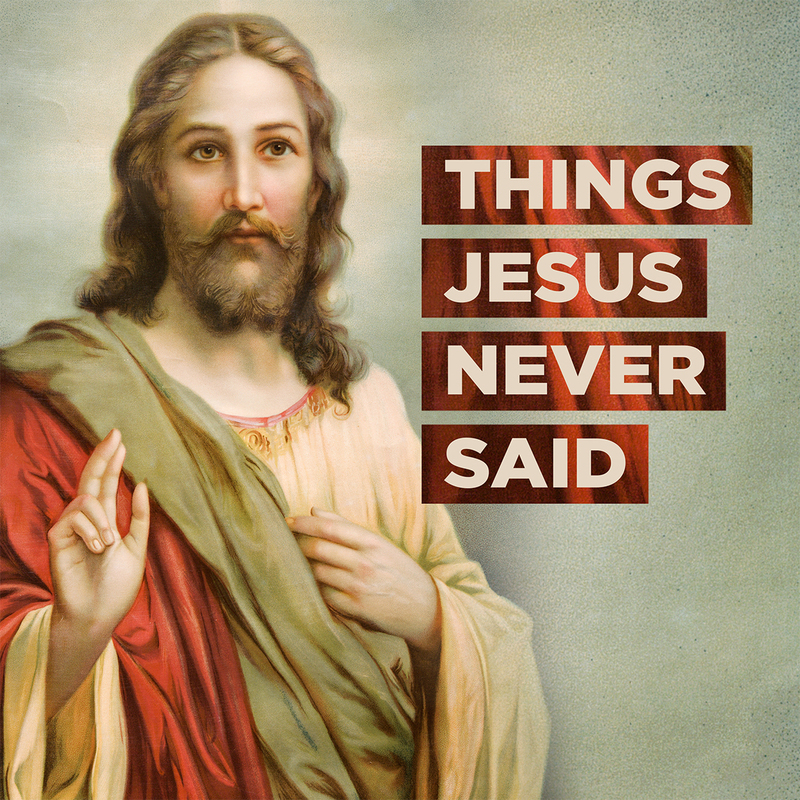 Where’s the line between what He actually told us, and the Things Jesus Never Said? Join us for this new series continuing through Easter weekend. What really makes for a happy life? A dream job, a bigger house, or a new relationship? If you’re always hungry for the next big thing, but frustrated because it never seems to satisfy, you might be Chasing Carrots. It’s time to hop off the treadmill and chase after something real. Wherever you are in life, you have a purpose. the person God created you to be. LifeKids is dedicated to partnering with parents to lead children to become fully devoted followers of Christ. Through age-specific lessons, activities, and small groups, your children—birth-5th grade—learn biblical truths and real-life application. Take TheBOD.church with you wherever you go. You can stream or download hundreds of messages on the go, get message notes, take your next steps, and connect with the church throughout the week. Celebrate all God did in 2018 as we take a look forward to what He will do in 2019. © 2017 TheBOD.Church. All rights reserved.